There is nothing better then a fall bonfire and bonfires equal s’mores! This weekend my aunt had her annual fall ball so I decided to put a spin on the bonfire favorite and make s’more cupcakes. Warning these are highly addictive! 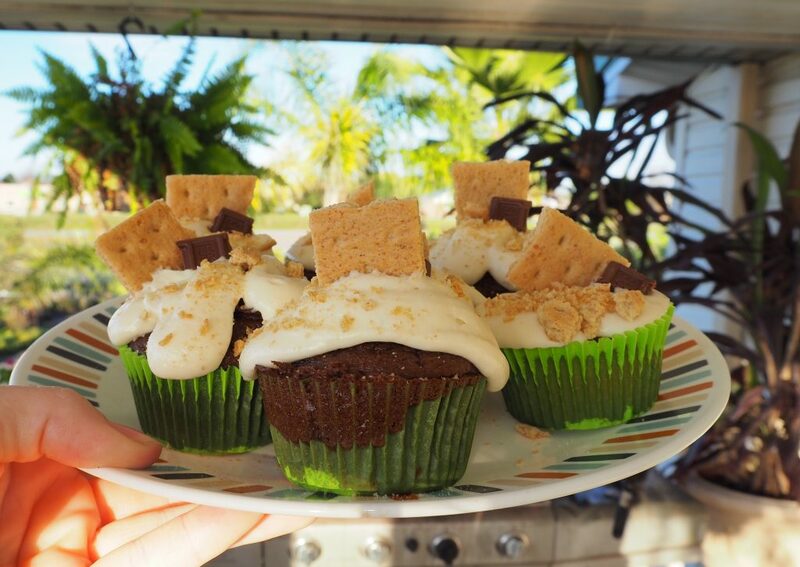 A little chocolate, a little Graham cracker and a whole lot of sweet marshmallow frosting! This recipe is definitely making it into my dessert hall of fame! Enjoy! Combine all ingredients in a large mixing bowl. Mix on high till thoroughly combined. Fill one gallon ziplock bag with frosting. Set aside. Preheat oven to cake mix directions. Line muffin pan with cupcake liners. In a separate bowl, break chocolate bars in to even pieces. Crush graham crackers, about one sleeve, in to crumbs. Set Chocolate bars and graham crackers aside. Combine all ingredients in a large mixing bowl. Mix on high till thoroughly combined. Fill 1 gallon ziplock bag with cake mixture. Take scissors and cut the corner of the ziplock bag. Note: Cut only a small piece of the corner off. If the opening is to larger contains will pour out very rapidly. Evenly fill cupcake lingers with bater to about 1/2 to 2/3 full. Place 1 mini bar of chocolate in to the center of each cupcake. Try to keep chocolate standing vertically in the batter so you have a yummy bite of chocolate throughout the cupcake and not just at the bottom. Bake according to cake mix directions, usually on the lower side of time. Remove from oven, remove from pan and let cool completely. Frost each cupcake as desired. 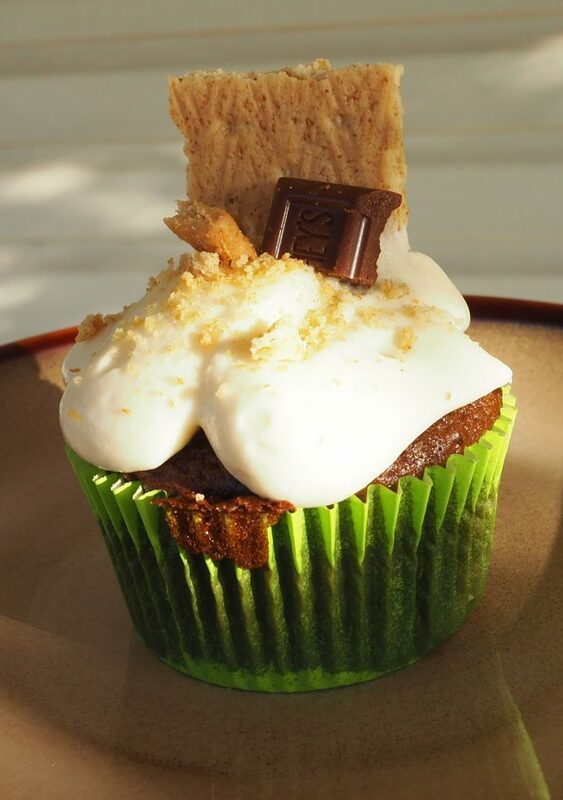 Sprinkle each cupcake with graham cracker crumbs and top with a square of chocolate.